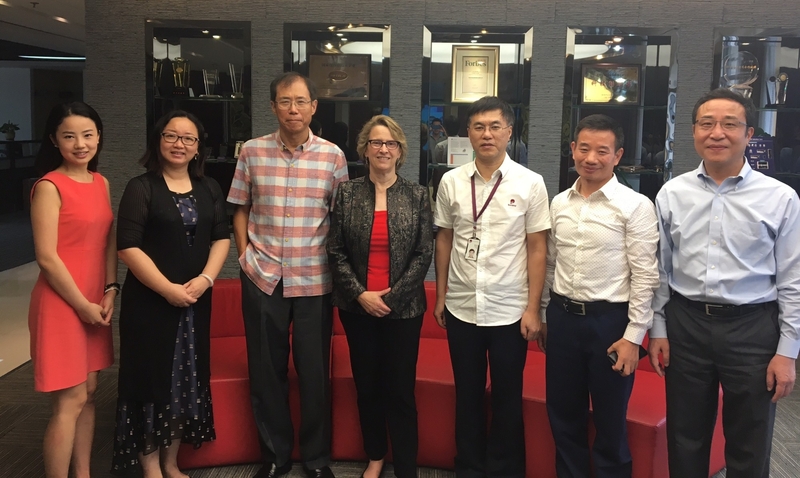 When Dean Susan Marquis visited China in May, Hui Wang (cohort ’88) — outgoing alumni representative on the Pardee RAND Board of Governors — was instrumental in helping her efforts to establish and strengthen relationships between Pardee RAND and key institutions in China. As CEO of First China Capital, Wang is a deal maker in international investment and mergers and acquisitions. 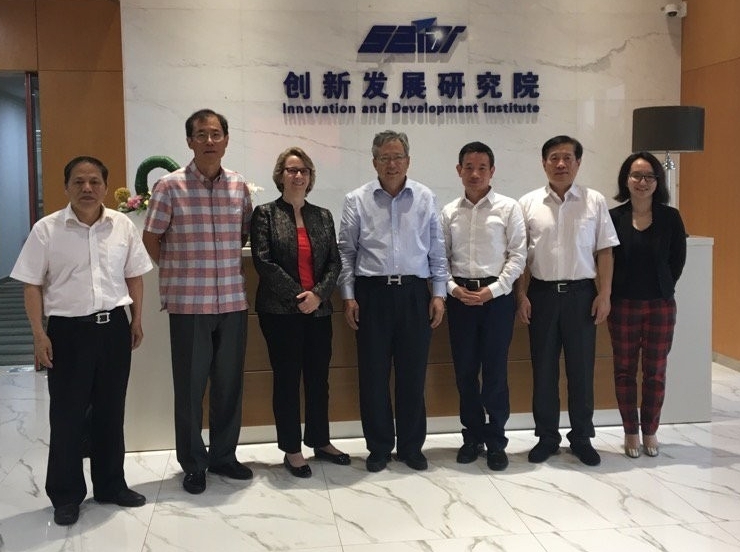 Marquis and Wang met with leadership and faculty at the Institute for Contemporary China Studies at Tsinghua University and the National School of Development at Beijing University, to provide the dean a better understanding of their academic programs and students. They also met with business leaders to learn about innovation in China and how China thinks about innovation in the public and private sectors. At the China Institute for Innovation & Development Strategy they met with Chairman Zheng Bijian and Vice Chairman Li Junru, both of whom have visited RAND for the RAND-CRF annual conference as friends of the school's founding dean, Charles Wolf, Jr. At the Shenzhen Innovation and Development Institute they met with Chairman Zhang Siping. And they had a meeting with Chairman Wang Wenxue of the U.S.-China joint venture Morgan Stanley Huaxin Securities while visiting Pudong New District. Dean Marquis also met with Qian Xiaohua, chairman of the Society of Entrepreneurs and Ecology, a non-governmental organization and one of the largest environmental conservation groups in China. 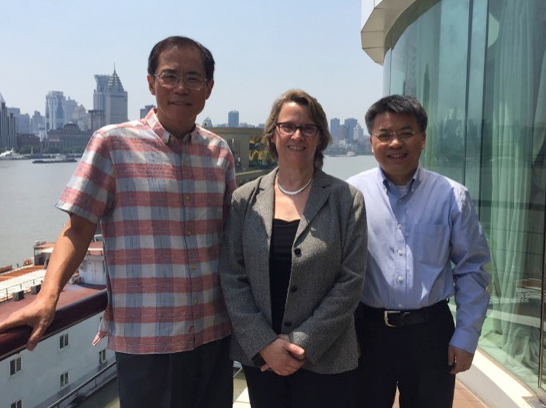 A small Pardee RAND alumni gathering was held in Shanghai when Susan and Hui met up with Daochi Tong (cohort ’94), currently the vice-governor of China's Hubei Province. The alumni position on the Pardee RAND Board of Governors is invaluable in providing an alumni perspective as we consider and develop the future of the graduate school. In addition, each alumni member has brought the experience of their particular careers. Hui Wang has provided his financial expertise, insights into China’s role in the world, and much appreciated empathy with our international students. We’ll miss Hui’s participation in board meetings but know he’ll continue to be an engaged and valued member of our alumni community. The dean added that the recreational highlights of her trip included a ride on the bullet train and a sightseeing excursion to the Great Wall. This trip was the culmination of Wang's tenure on the Board of Governors. The school reserves one three-year, non-renewable term on the Board for a Pardee RAND alumni member. 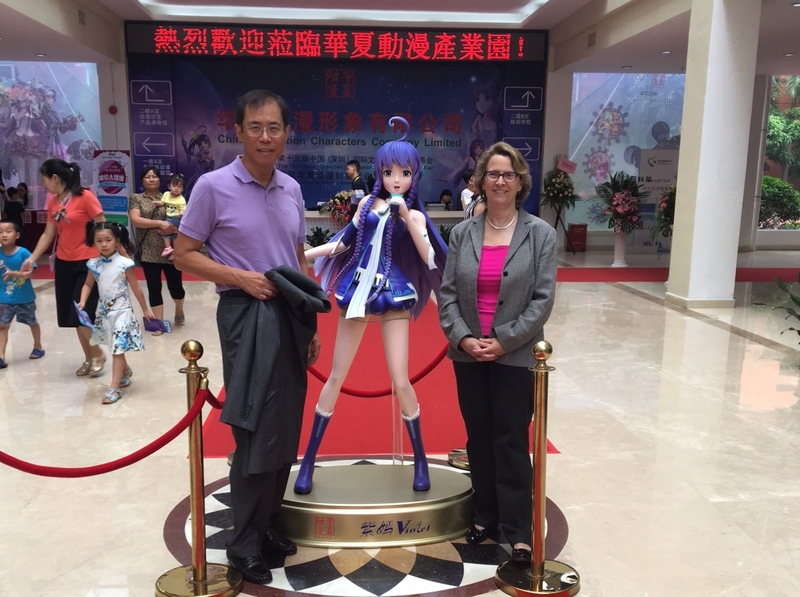 With one of the "representatives" at China Animation Characters Company Ltd.